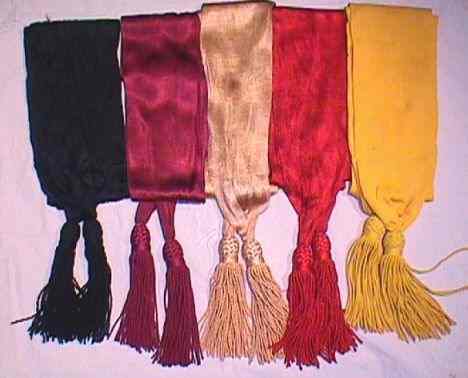 These sashes are made of a silky knitted fabric with knots and tassels on both ends. The sash is 11 feet long and 5 inches wide. The knot and tassel measures 8 inches long.